Dual credit courses are college-level classes offered to high school students to earn credit at both high school and college levels. This academic jump-start plays a strong role to support students’ graduation from high school and successful transition into college. 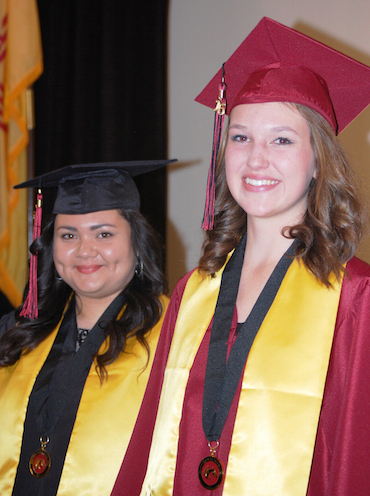 Dual credit is key to The Bridge’s overarching goal to increase high school graduation rates in Doña Ana County and throughout New Mexico. At the same time, dual credit courses are shown to reduce students’ need for remediation, which means repeating the same coursework in college. Students who master high school-level coursework are prepared for the rigor of college-level work. Dual credit courses reduce the time required for college completion and increase the likelihood that students will achieve a post-secondary degree. The vast majority of dual credit courses are offered through partnerships with community colleges, ensuring that dollars paid to higher education are invested for the most economical delivery system. Are more likely to attend college. Are less likely to need remediation in college. Can graduate sooner with career certificates or college degrees. Can reduce the cost of their college education. The corresponding economic impacts of this educational success are profound. Dual credit coursework yields short- and long-term benefits for the state and generates a worthwhile return on investment for students and taxpayers statewide. We need to prioritize, incentivize, and expand dual credit offerings in the state and ensure policy and funding changes are made to support the higher education partners who provide it. The connection between dual credit and improving New Mexico’s educational outcomes is clear. Every 1% increase in our state’s graduate rate for the students who are in high school right now will render at a minimum an increase in students’ future earnings of $9.6 million annually (and an additional $830,000 in state revenues annually) if all they do is graduate high school. Obtaining post-secondary credentials and degrees will increase those dollars far more. Funding for New Mexico’s Dual Credit Program currently places an unsustainable financial burden on higher education institutions that provide dual credit courses in partnership with school districts across the state. Skyrocketing dual credit participation rates, increasing 200% since 2011, combined with $50 million in cuts to the statewide higher education budget, have created a perfect storm of financial instability in a program that is directly tied to the state’s highest-ever high school graduation rates and a significant source of enrollment growth in New Mexico’s colleges and universities. In response, colleges have been forced to consider strategies to reduce or limit dual credit offerings to students, which will eventually create a significant loss of momentum to this very successful program. Without an intentional effort to close the gap in funding for higher educational institutions that waive tuition dollars for these courses, the successful Dual Credit Program in New Mexico may well collapse under the weight of its own success. To ensure sustainability and growth of New Mexico’s Dual Credit Program, The Bridge reached out to a set of public and higher education leaders, those who are dealing with the fiscal and academic impacts of the Dual Credit Program, along with representation from the Department of Workforce Solutions, to work together toward creating a sustainable, effective solution for the state’s growing Dual Credit crisis. The task force sought not just a funding solution, but one that addressed misalignment in the Dual Credit Program that had undermined academic outcomes for New Mexico’s students. The task force is advancing a set of recommendations in the establishment of The New Mexico True Talent Acceleration Fund, a separate stream of funding dual credit courses that lays the foundation for New Mexico’s transformation to a PK-14/16/or 20 state. The recommendations reach far beyond financial stability to ensures maximum impact on students’ post-secondary completion, better metrics across systems, and clear communications with students and parents. 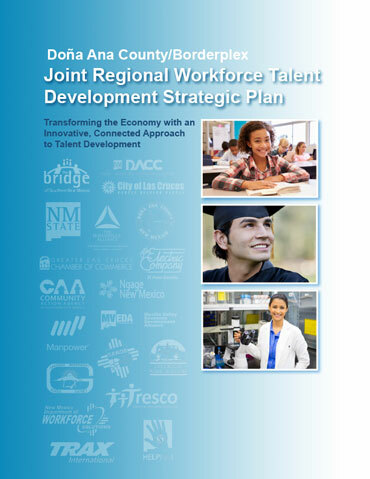 To view the full white paper on the New Mexico True Talent Fund, click here.